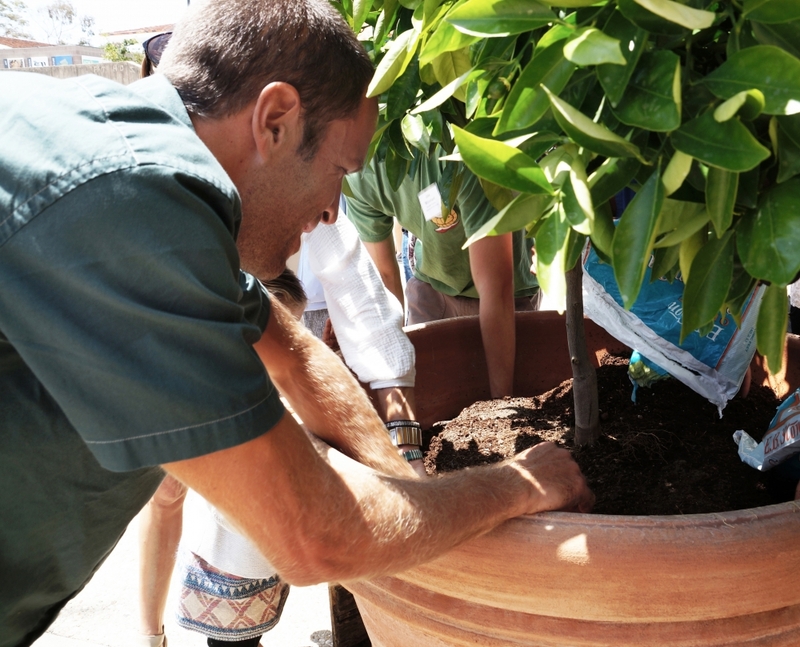 Jack Johnson helped to plant two navel orange trees at the base of Storke Tower on campus during the 2015 launch of the Edible Campus Project, which in 2016 is getting a big boost from The Green Initiative Fund. 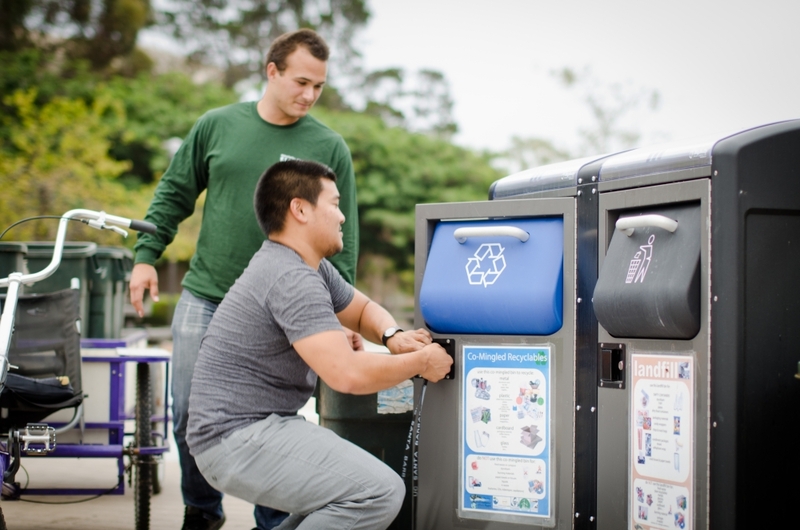 The solar-powered recycling, composting and refuse compactors known as BigBellys, which are already in use at multiple locations across campus, will soon be installed at Pardall Center thanks to a TGIF grant. A student-run campus farm, a water recycling system for a mineral science research lab and student-developed engineering solutions to campus sustainability issues are all getting a big boost by way of The Green Initiative Fund (TGIF) at UC Santa Barbara. The projects are among the fund’s just-announced 2015-16 grant recipients, which feature a host of innovative environmental efforts. From dozens of proposals for a robust array of campus-specific sustainability initiatives, the TGIF committee, composed primarily of undergraduate and graduate students, selected 16 projects to receive awards totaling $181,368. The initiatives are expected to be completed over the next year — and to produce major, long-term environmental savings. Edible Campus Program Student Farm, $38,006: Funds will be used to construct a small campus farm meant to afford students educational opportunities in agricultural techniques that address social, economic and environmental aspects of sustainability. The farm will also supply the A.S. Food Bank with up to 12,000 pounds of produce annually. Water Recycling System for Mineral Science Laboratories, $5,325: The award will enable installation of a water recycling system in the Department of Earth Science’s mineral science research lab. The device, which will capture, filter and recycle water back onto the lab’s two “shaking” tables, is projected to save more than 380,000 liters of water annually. Mechanical Engineering Senior Projects on Sustainability, $7,500: Two teams of mechanical engineering seniors in the 2016-17 academic year will conduct and complete year-long design projects focused on finding engineering solutions for sustainability challenges. UCSB Bike Share Voucher Program, $12,343: Funds will help the Gaucho Rides bike share program establish a voucher system to purchase additional bikes from campus sources (A.S. Bike Shop, UCSB Bookstore, CSO). 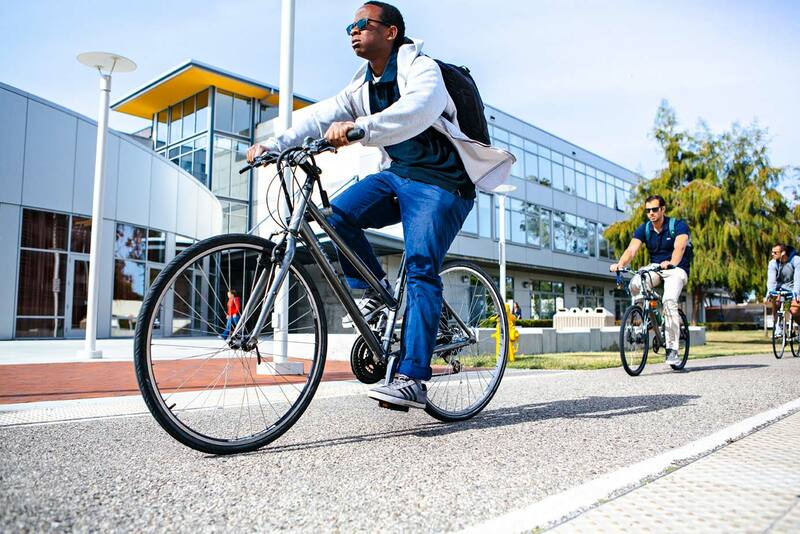 Gaucho Rides provides faculty and staff a sustainable on-campus transportation option, promoting health and wellness, reducing carbon footprint and encouraging community, among other benefits. TGIF was the first student-funded sustainability initiative of its kind — and the first green fee — in the UC system. Created in 2006 by an overwhelming majority vote of UCSB students, the current $3.47 per quarter lock-in fee, which hasn’t changed since the fund’s inception 10 years ago, contributes approximately $170,000 per year toward TGIF.